I had a blast creating this. I love, love, LOVE this movie. If you can quote this movie then you and I will get along just fine. 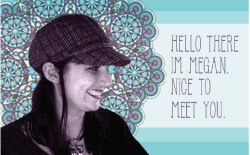 When I decided I wanted to illustrate another quote, this one immediately popped into my head. 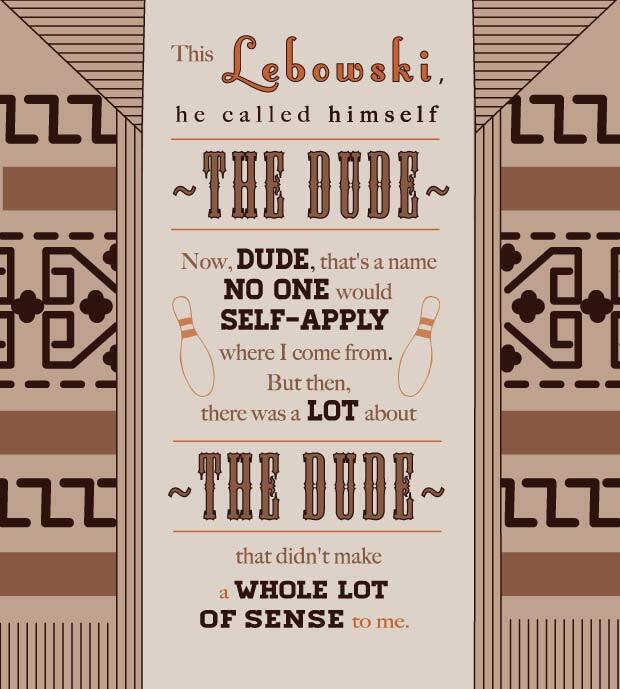 The Big Lebowski has SO many quotable lines, but I settled on this one mostly because it was nice and long, which gave me more content to play with. “This aggression will not stand!” and “that’s just, like, your opinion man” would have been fun too. And how can you forget “CAREFUL man, there’s a beverage here!” (TOLD you I love this movie). By the way, did you know there’s an actual Lebowski Fest? Oh yes, there is, and apparently 2012 is its 10th Anniversary. According to their website, it involves movie screenings, bowling, and White Russians. How can you go wrong?